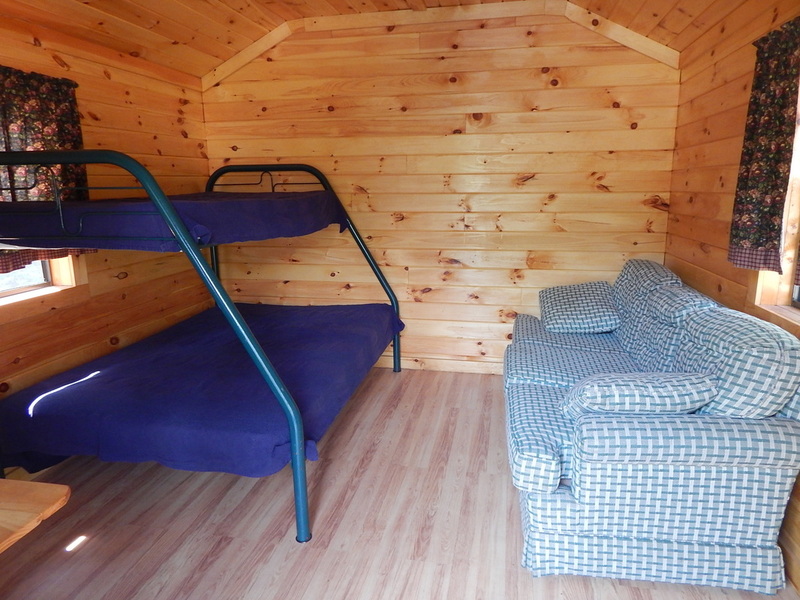 BELOW ARE INSIDE AND OUTSIDE PHOTOS OF ALL CABINS. 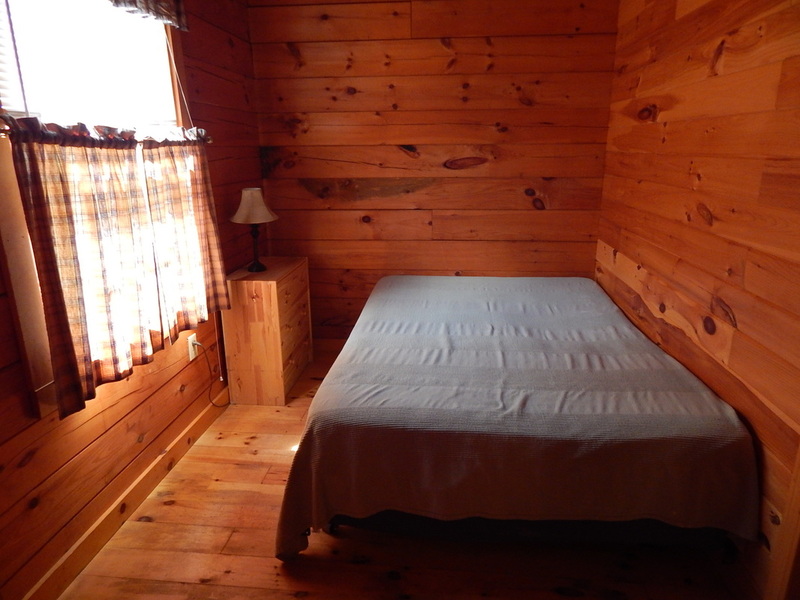 RUSTIC CABINS ARE SEASONAL, MAY 15TH TO OCTOBER 15TH. 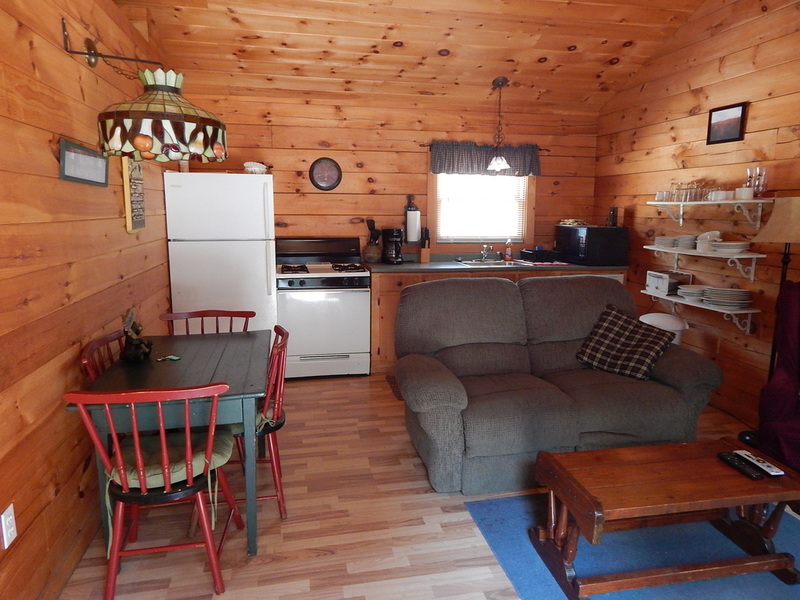 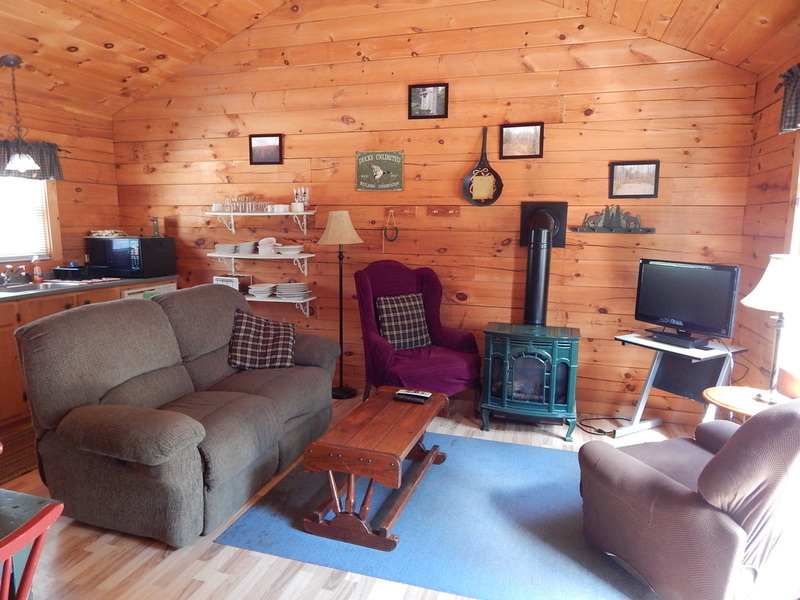 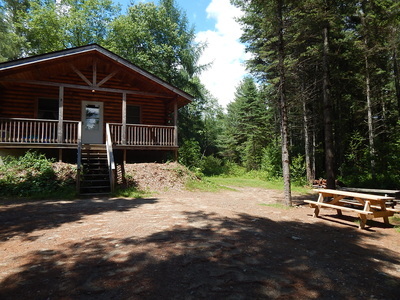 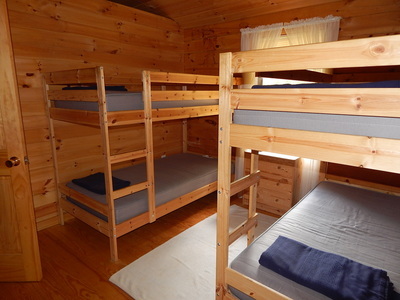 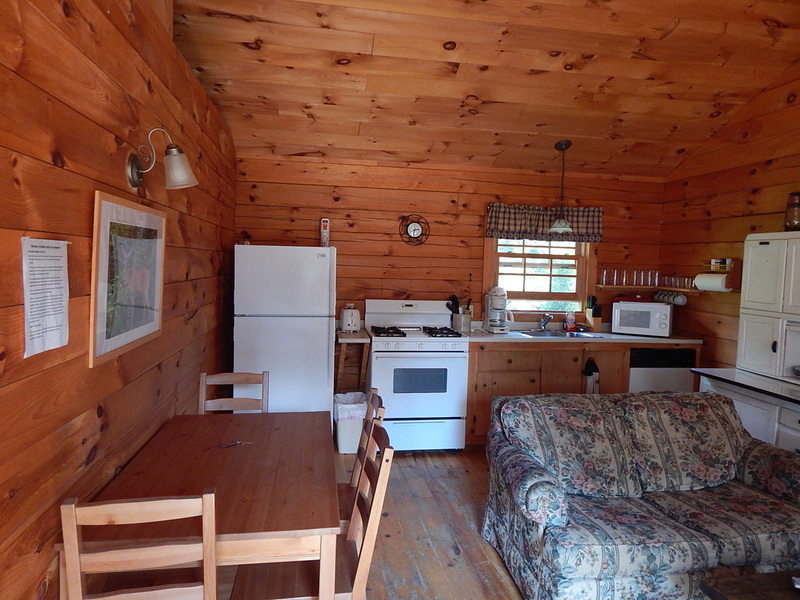 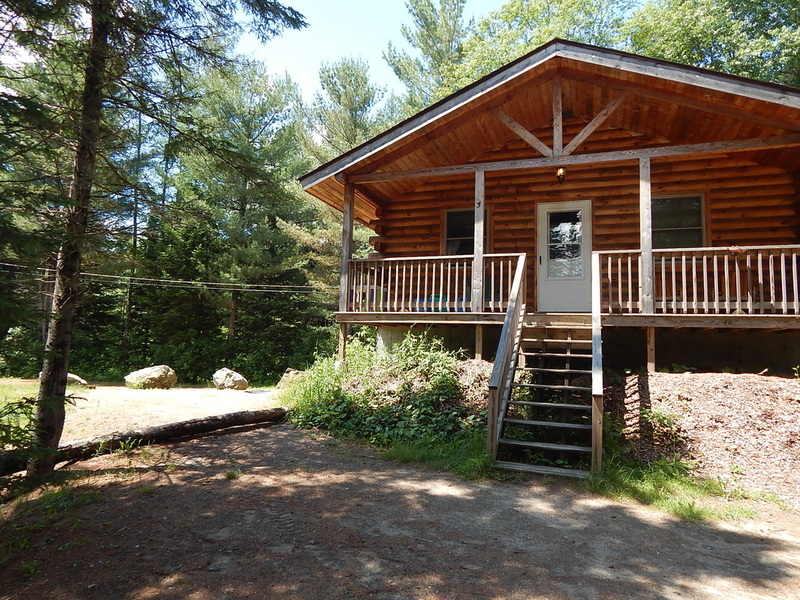 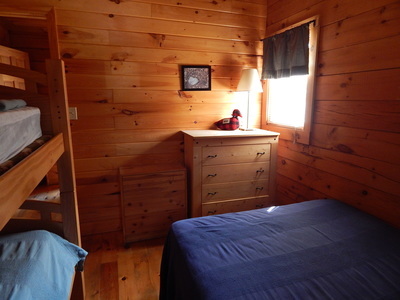 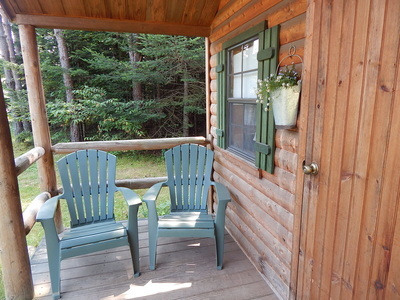 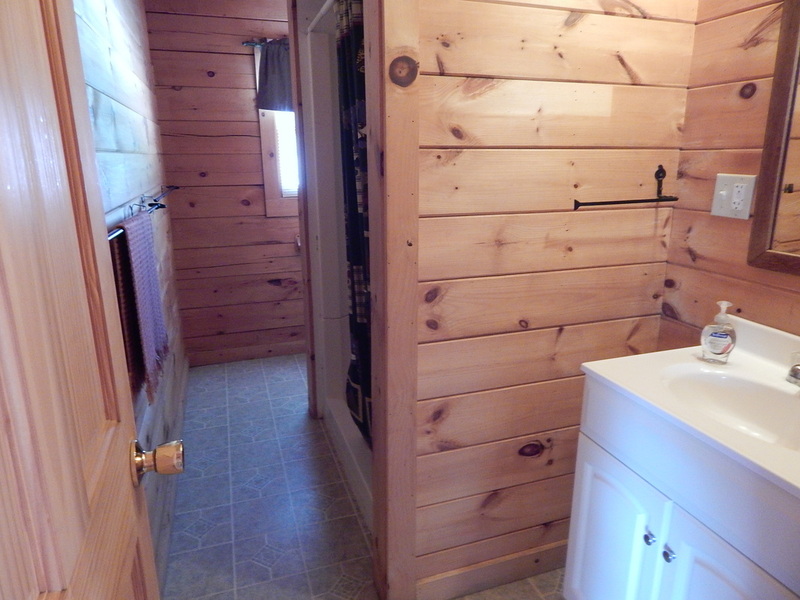 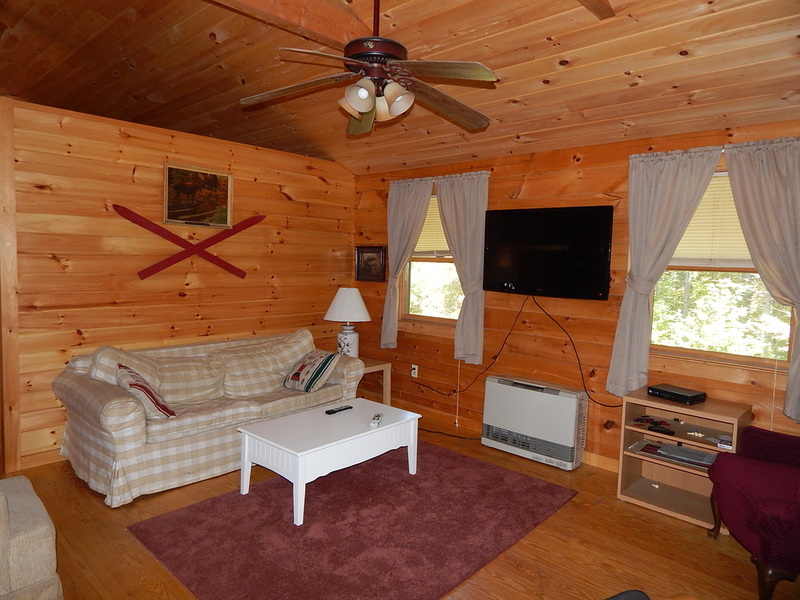 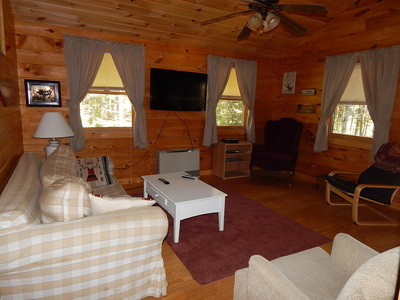 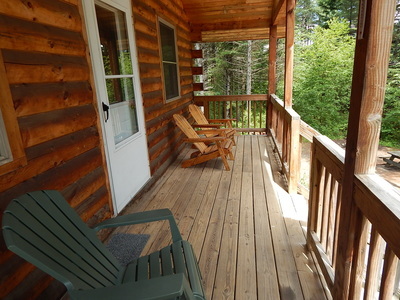 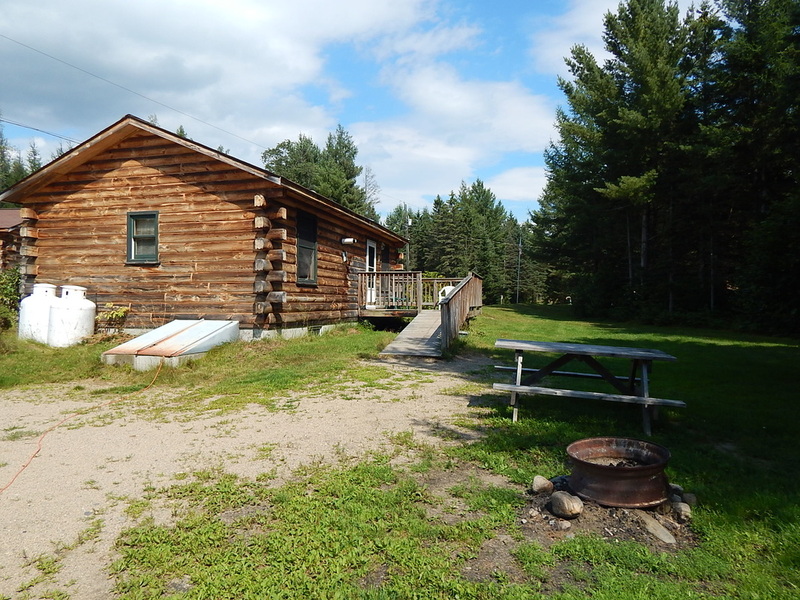 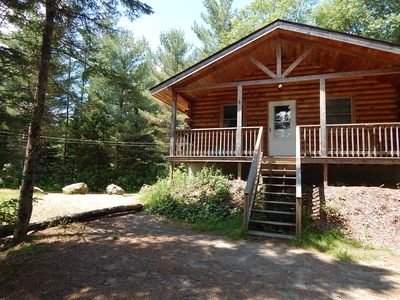 LARGER 2 BEDROOM CABINS AVAILABLE YEAR ROUND. ​FOR MONTHLY WINTER RESERVATIONS REFER TO OUR NEWS PAGE FOR DETAILS. 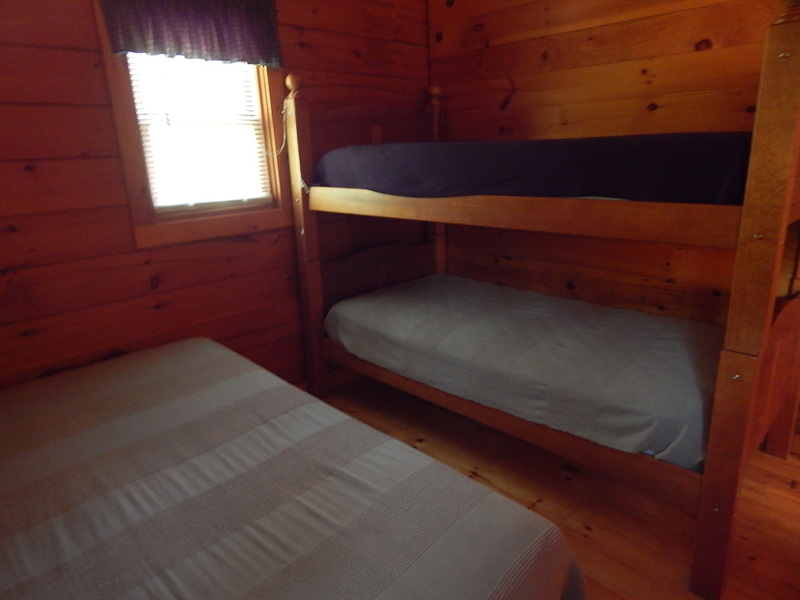 CABIN #3 Our largest two bedroom Cabin... featuring a queen size bed in one bedroom, two sets of bunk beds in the second bedroom. 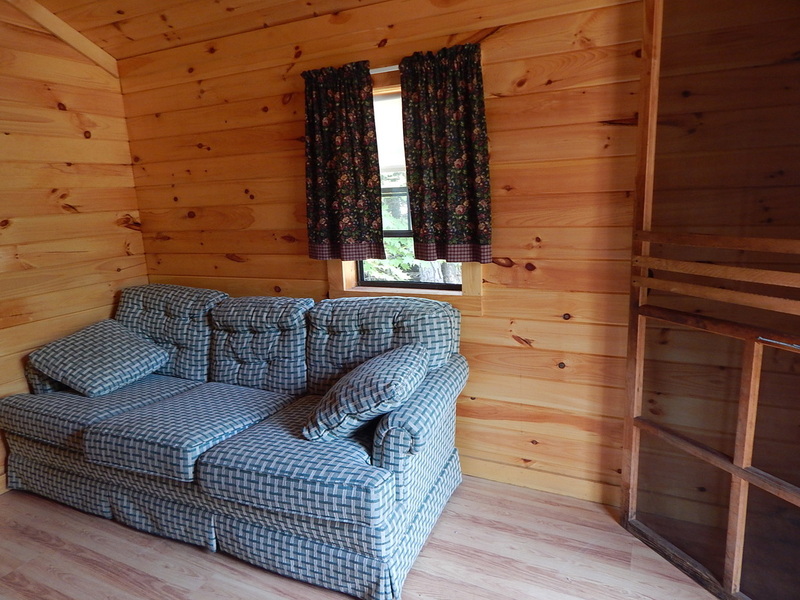 Living room has a couch which opens into a queen size bed. Now watch you favorite shows on a full size, wall mounted flat screen TV.. which has Direct TV. 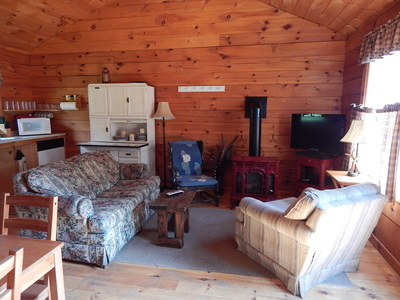 Living room also has wi-fi and a propane heater in case of cool weather. Kitchen fully equipped, including pots, pans, utensils, dishware and glassware. 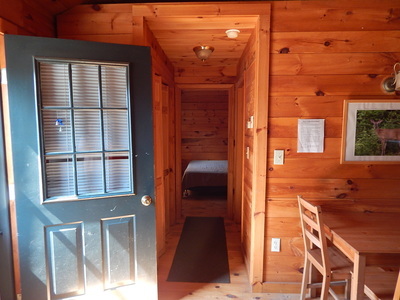 You only need to bring linens, pillows and towels. 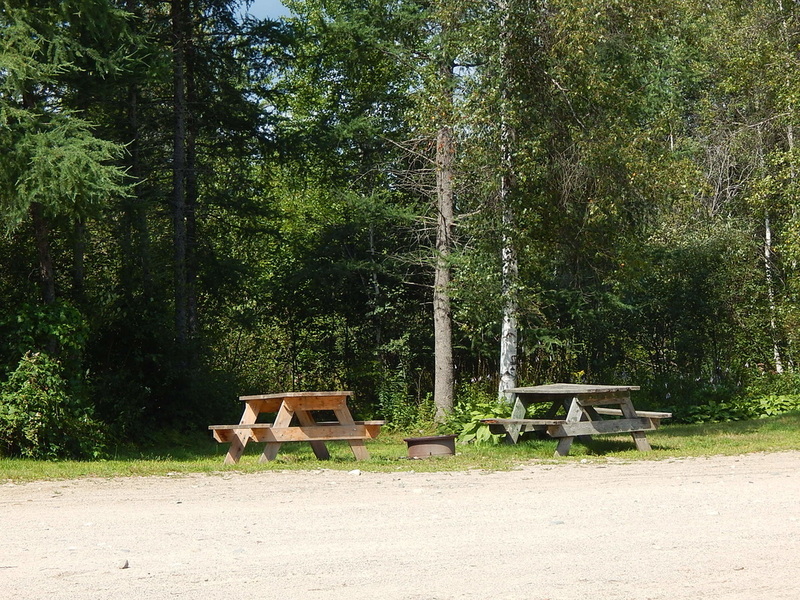 Front porch, picnic table and fire ring outside . 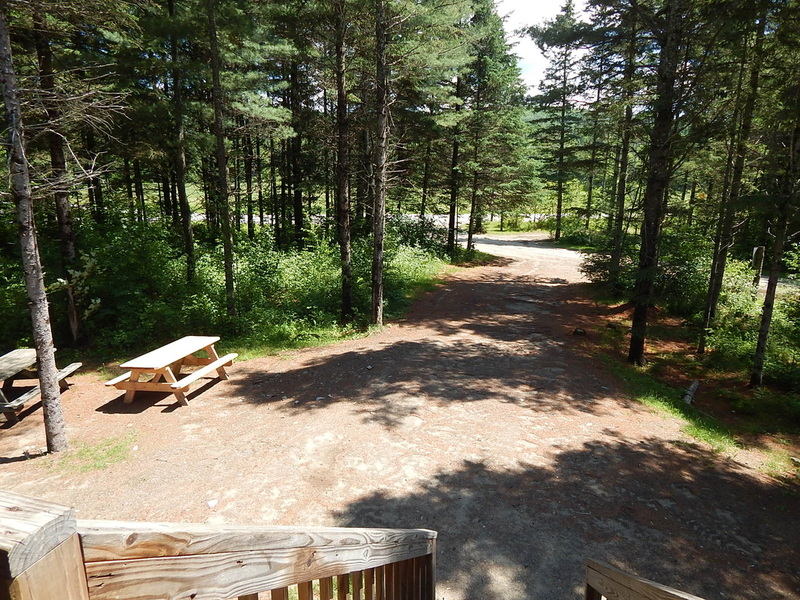 Also two driveways for plenty of parking. 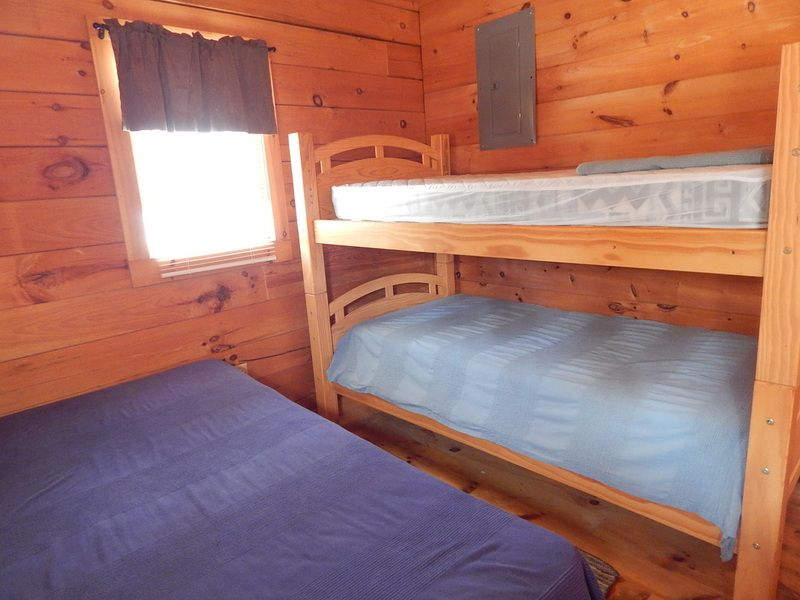 CABIN #2 Two bedroom cabin... featuring a double bed in one bedroom, a double bed and set of bunk beds in second bedroom. 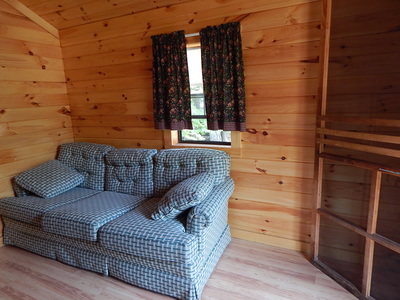 Living room has a couch which also opens into a double bed. 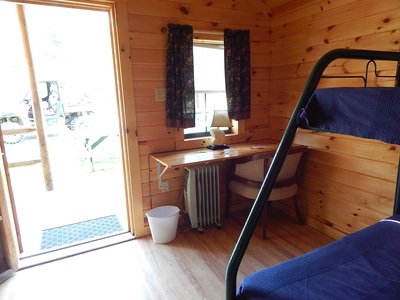 Includes Direct TV and wi-fi. 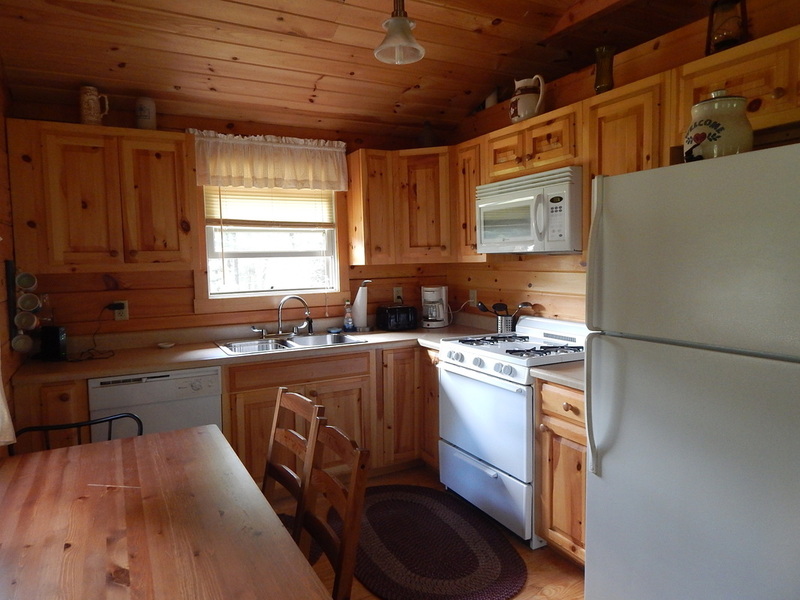 Kitchen is fully equipped with pots, pans, utensils, dishware and glassware. 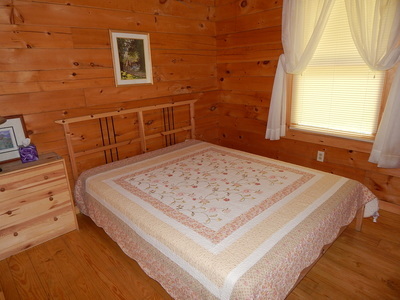 You only need to bring linens, pillows and towels.You only need to bring linens, pillows and towels. There is a full bath. 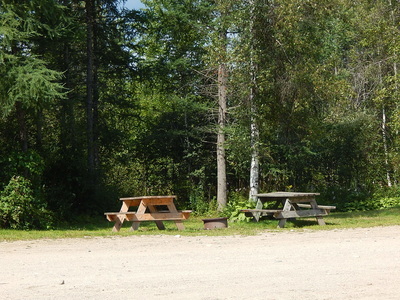 Outside a deck, fire ring and picnic table. CABIN #1 Two bedroom cabin... featuring a queen sized bed in one bedroom, a double bed and set of bunk beds in second bedroom. Living room has Direct TV and wi-fi. 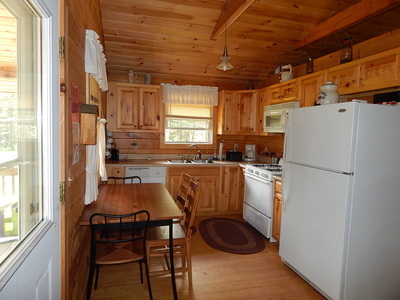 Kitchen is fully equipped with pots, pans, utensils, dishware and glassware. 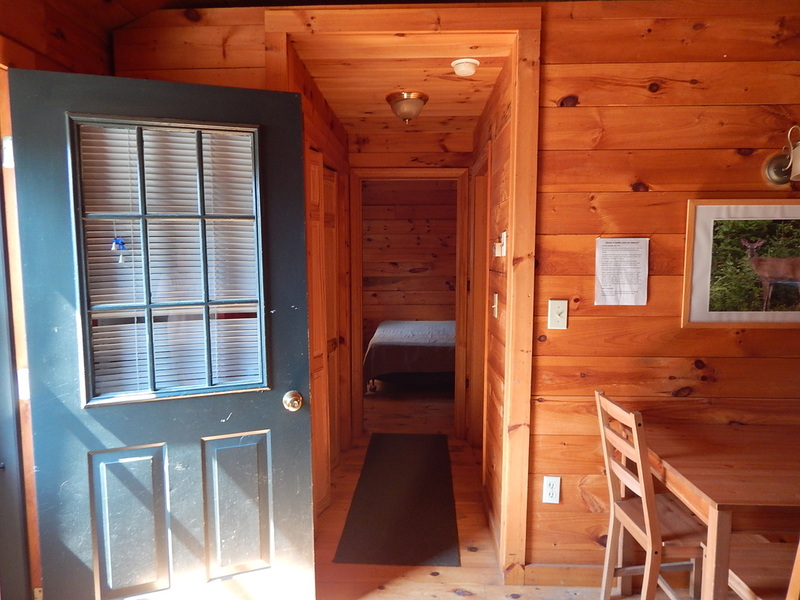 You only need to bring linens, pillows and towels. 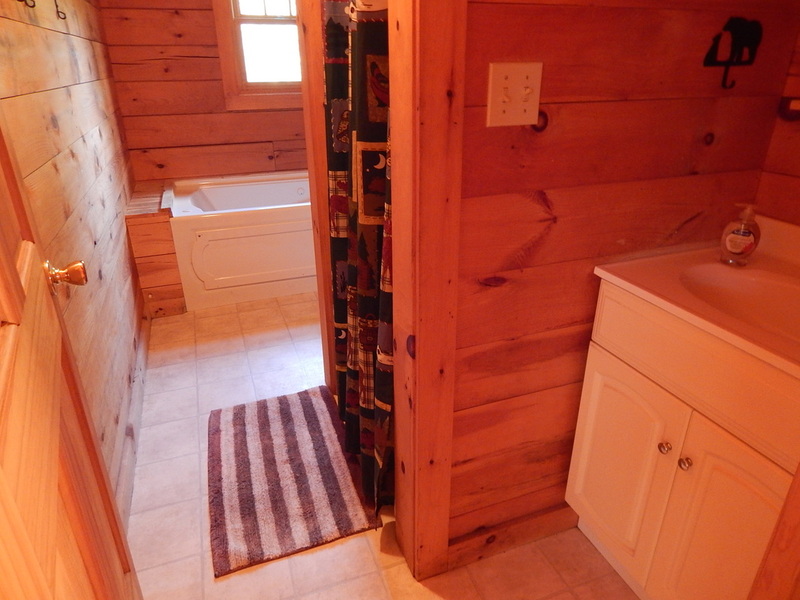 There is a bathroom with shower. 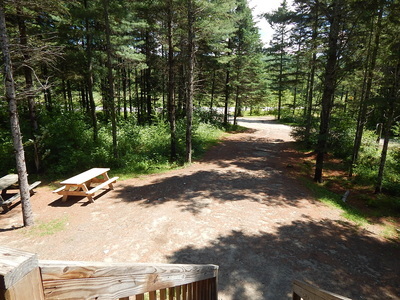 Outside a deck, fire ring and picnic table and large back yard. 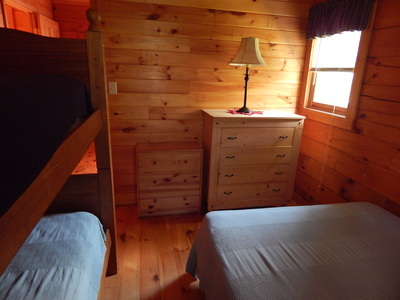 RUSTIC/CAMPING CABINS Our rustic/camping cabins are a 12 x 12 room with electricity. Complete with lights bunk bed set ups, couch and desk. 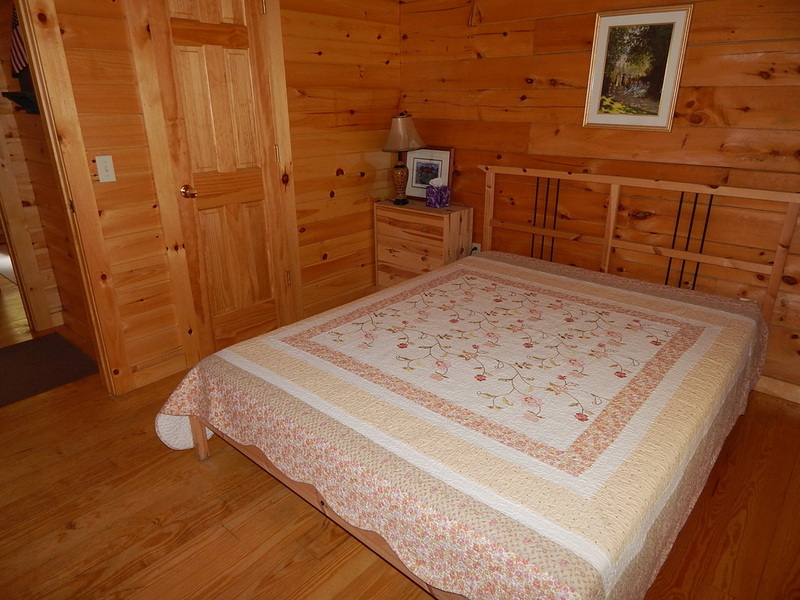 You only need to bring linens, pillows and towels. 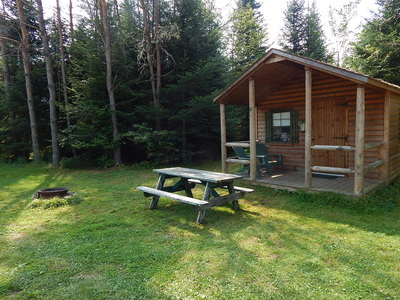 Complete with small porch, fire ring and picnic table. 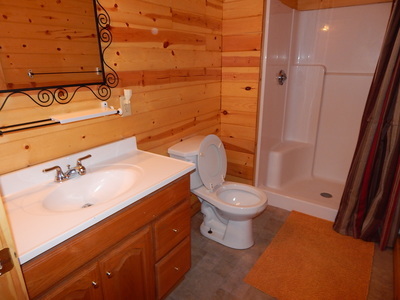 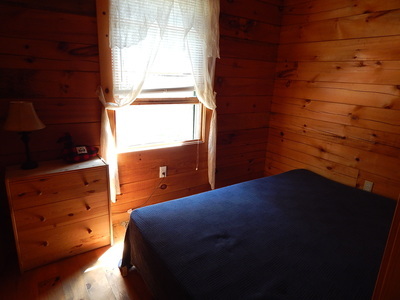 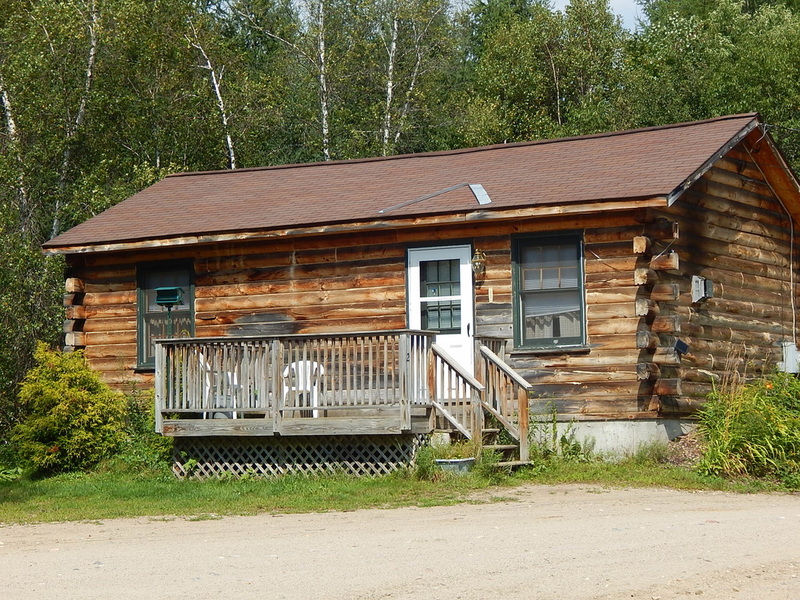 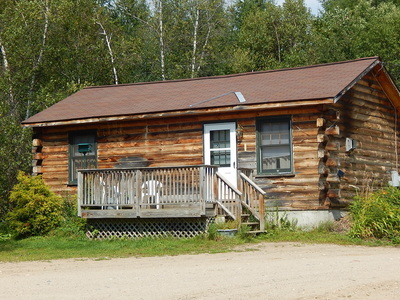 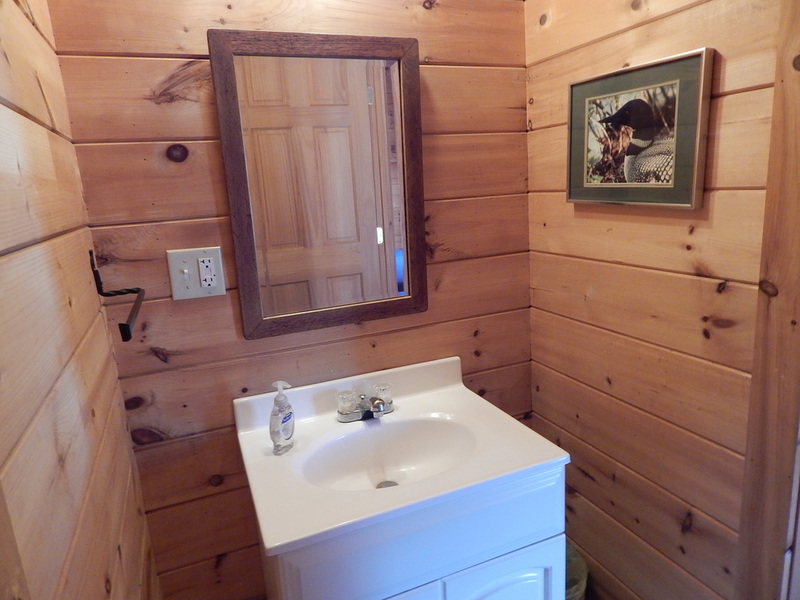 Rustic cabins are located directly across from our bath house.